Last week came news that Royal Caribbean would be selling its Legend of the Seas to Thomson Cruises, following in the wake of the Splendour of the Seas, which was delivered to Thomson last month and now operates as TUI Discovery. 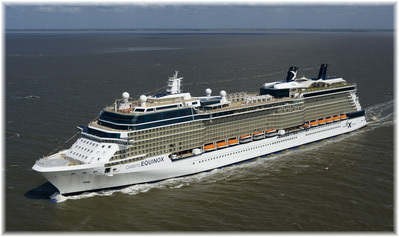 We also have a look at Celebrity Cruises’ dedicated charter flights in two different markets, the UK and Canada. And finally, the first of Carnival’s purpose-built cruise ships to go to the scrappers is the Henna, which was built as Carnival’s third new ship, the Jubilee, in 1986. Following hard on the heels of the news that Royal Caribbean Cruises Ltd is selling a 51% interest in Pullmantur Cruises (but not the ships) to Springwater capital, it has entered into an agreement to sell the 1,800-berth Legend of the Seas to Thomson Cruises in the UK. Unlike TUI Cruises in Germany, where Royal Caribbean owns a half interest in both the company and its ships, Thomson Cruises is so far owned 100% by TUI Group. This move follows the delivery last month of the 1,804-berth Splendour of the Seas to Thomson, who have now renamed her TUI Discovery. Under hew new name, TUI Discovery will sail on Saturdays from Palma de Majorca, where she will offer alternating 7-day itineraries. This TUI Discovery is beneficially owned by Schoeller Holdings Ltd, a Limassol-based private investment company whose activities include shipowning, ship management and liner services. Founded in 1978, Schoeller Holdings and its subsidiaries now have more than 14,000 employees worldwide, and Columbia Ship Management is part of the group. The relationship between Columbia Ship Management and Thomson Cruises dates back to 2004 with Columbia’s appointment as technical managers of the Thomson Celebration. 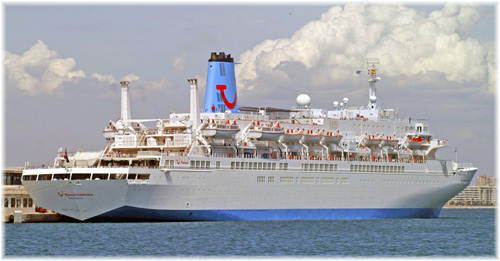 The Island Escape and Thomson Dream then followed in 2009. In April 2015, Columbia Cruise Services was established as a Hamburg-based affiliate that is solely dedicated to managing cruise vessels, expedition vessels and luxury yachts. Legend of the Seas will join the Thomson fleet in May 2017 to sail under the name of TUI Discovery 2. This acquisition will increase the Thomson Cruises fleet to six ships, including two more to be acquired from TUI Cruises in Germany. 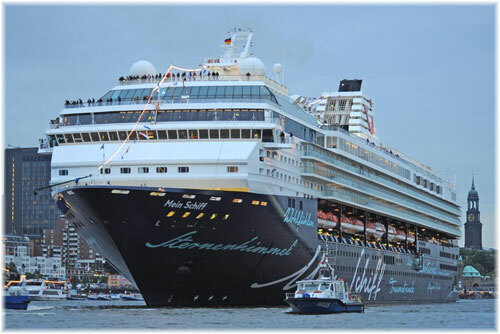 Mein Schiff 1 will join Thomson in 2018 and Mein Schiff 2 in 2019. 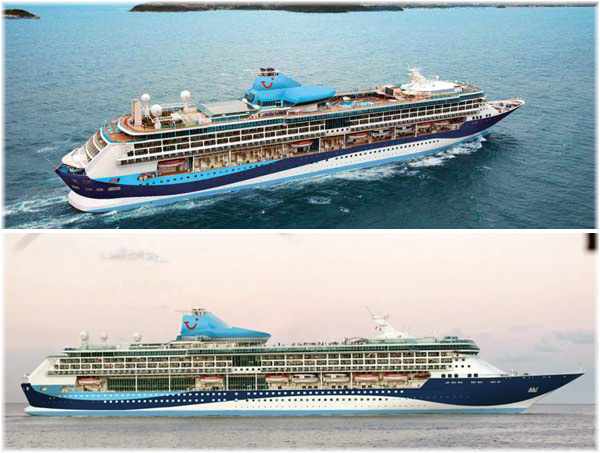 Thomson Majesty and Thomson Spirit will then leave the Thomson fleet at the end of 2017, while Columbia Cruise Services will continue to manage the Thomson Celebration and Thomson Dream. 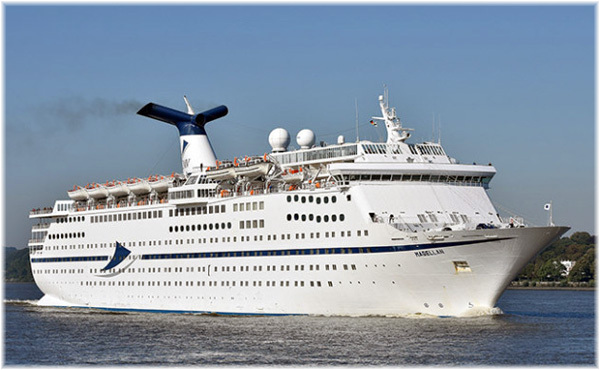 The Island Escape was sold late last year to US owner Cruise Holdings Inc and renamed Ocean Gala. She has been berthed at Kristiansand, Norway, for the past three months, pending further employment and is still managed by Columbia. Columbia Cruise Services also now manage FTI Cruises’ Berlin and the Hurtigruten expedition-style ship Fram. The addition of these two more modern Royal Caribbean ships plus the two Mein Schiff sisters from Germany will increase the number of balconies in the Thomson fleet from just a few dozen to well over 1,000. Celebrity Cruises has launched its new UK charter flight service Jet Set Sail for this summer, with flights from Stansted’s private jet terminal to connect with Celebrity ships sailing from Barcelona, Rome, Athens and Istanbul. The program for this summer is now sold out even though more more flights were added, but it allows UK passengers to start and finish their Mediterranean cruises on the line’s own charter flights from London Stansted’s private jet terminal. 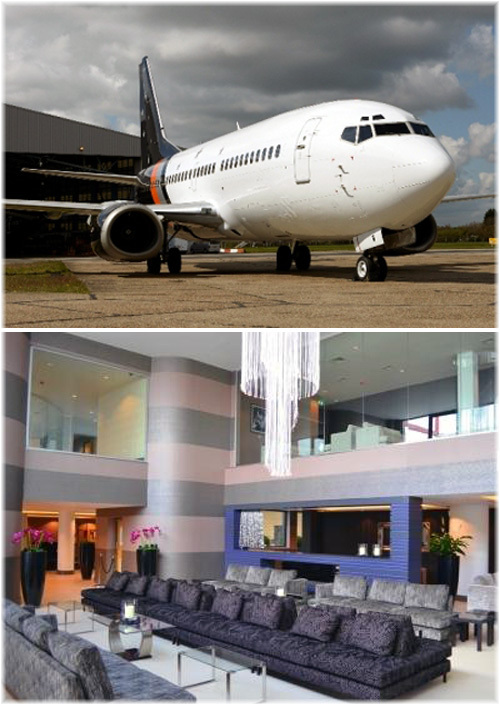 The aircraft involved is one of Titan’s spacious 130-seat Boeing 737 design and the package includes free parking at Stansted, refreshments in the private departure lounge, generous 31″ seat pitch and 23 kgs luggage allowance, two-course breakfast or lunch and beverage service in flight, transfers between airport and port and priority embarkation at the port of embarkation. These exclusive charter add-ons are being offered on certain departures of the 2,850-berth Celebrity Equinox and 2,170-berth Celebrity Constellation, with return the same way at the end of the cruise. One departure on July 2 includes a wining and dining experience with great Italian chef Gennaro Esposito in his Michelin two-star Torre del Saracino restaurant on the Amalfi Coast, while great British chef Josh Eggleton will be cooking in the Murano restaurant on board Celebrity Equinox. For 2017, Celebrity has already placed thirteen exclusive flights on sale, which will be capable of lifting 1,690 passengers, and it is now scheduling more. Next year’s 2,000 or so seats will thus double Celebrity’s private flight offering for 2016. Titan Airways already operates Saturday charter flights for Cunard Line from Manchester, London Gatwick, Bournemouth and Birmingham airports to Rome Fiumicino, Venice, Athens and Barcelona, from July through October. As well, it supplies Wednesday charter flights to P&O Cruises from a variety of UK airports to Genoa and Venice, from June to September. Celebrity began operating dedicated flights in Canada in the winter of 2014, with non-stop “All Included Caribbean” departures from Hamilton and Ottawa, Ontario, to Miami. Flights included complimentary transfers in Miami and unlimited beverages on board. The program was expanded last year to include additional departures from four more Canadian airports, and this year from a sixth, for departures of the 3,036-berth Celebrity Reflection on Saturdays and 2,886-berth Celebrity Silhouette on Sundays. 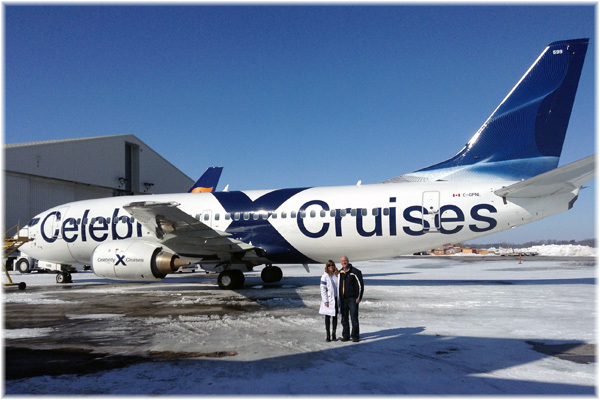 One of the chartered aircraft, which are supplied by Canadian North, is painted in Celebrity colours, and is used by Celebrity on Saturdays and Sundays, while operating scheduled flights on the weekdays, when it becomes free advertising for the cruise line. 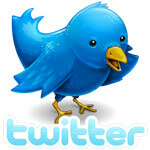 The Canadian program allows Celebrity to expand into markets that do not have non-stop service to Miami. The 1,478-berth Chinese cruise ship Henna last week arrived at Daishan, near Ningbo, south of Shanghai, ready to be delivered to the scrappers after a proposed sale price of $35 million failed to attract any interested parties. HNA Cruises shut down its one-ship cruise operation with the 1986-built Henna in November last year, just three years after starting up. HNA has ceased operating cruises but carries on now as a cruise booking agency. Completed by Kockums Varv, Malmö as the Jubilee in 1986, this ship was followed the next year by sister ship Celebration. Jubilee was Carnival Cruise Lines’ third newbuilding. She had been preceded by two earlier ships, the 1,022-berth Tropicale of 1982, the line’s first newbuilding, and the 1,452-berth Holiday of 1985. All four ships were completed in Scandinavian shipyards. In 2012, the Henna became the first and largest cruise ship to serve mainland China. The ship was acquired from P&O Cruises Australia, for whom she had operated since 2004 as the Pacific Sun. The decision to close down the one-ship operation came after was based on money. The now older ship faced very serious price competition with the arrival of newer and larger ships into the China cruising market in 2015. While Tropicale now sails for Japan’s Peace Boat organization, Henna’s sister ships Celebration and Holiday continue to operate, the former as the Grand Celebration in the Palm Beach to Freeport trade and the latter as Cruise & Maritime Voyages’ Magellan.